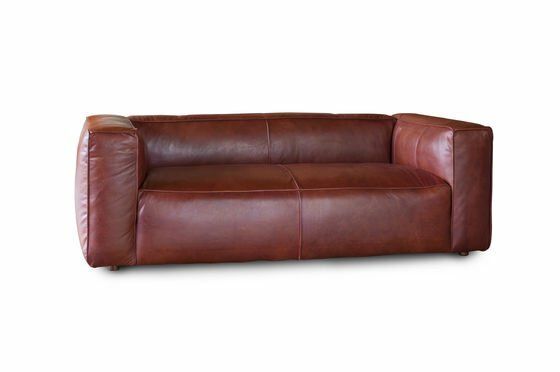 Entirely upholstered in full grain leather, The Krieger has an evident sober vintage look that adds elegance to any living room décor. 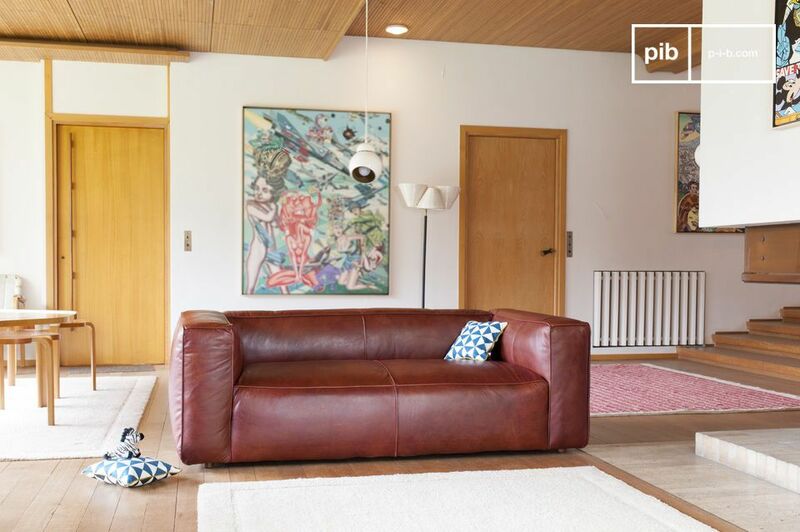 The unique aesthetic of the leather sofa is inherently vintage in nature due to its beautiful reddish leather upholstery. 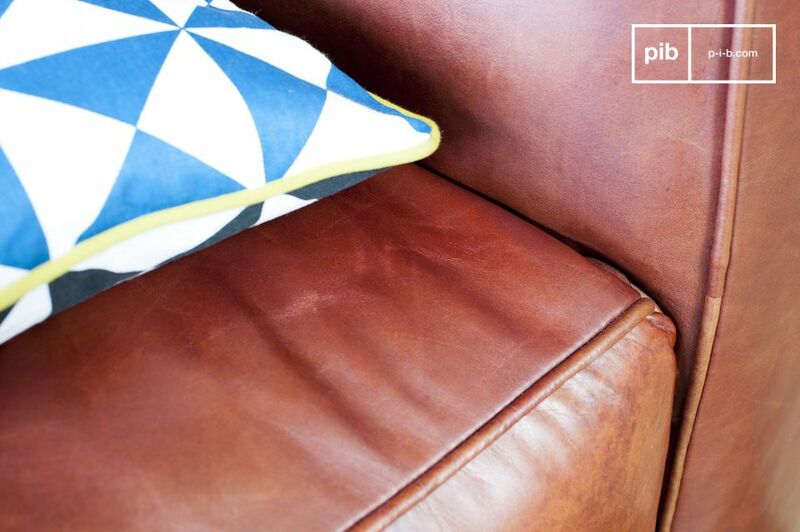 The seams of the sofa are quite large and are made of the same leather that covers the entire sofa. 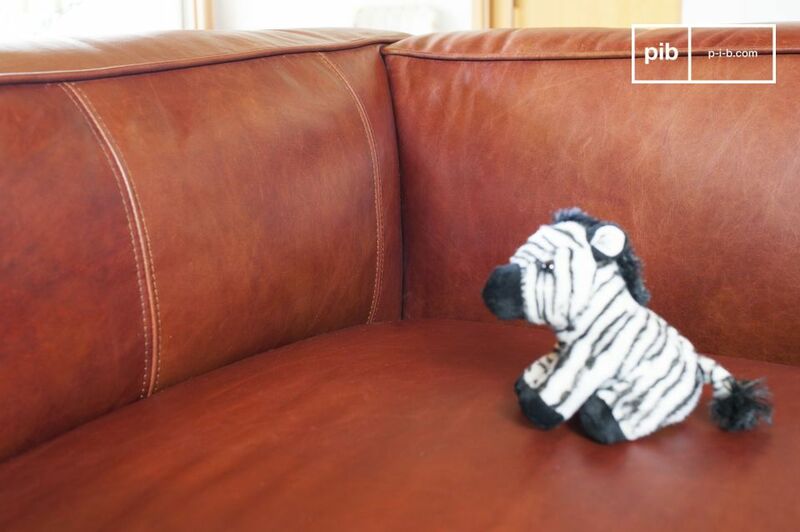 The actual color of the sofa is mocha, a brown tone with a reddish-orange overtone. The two seats of the sofa are quite deep just as the armrests, which are filled with ample padding. The padding is actually a mousse which offers an excellent level of comfort. The mousse itself has a density of (25kgs/m3). 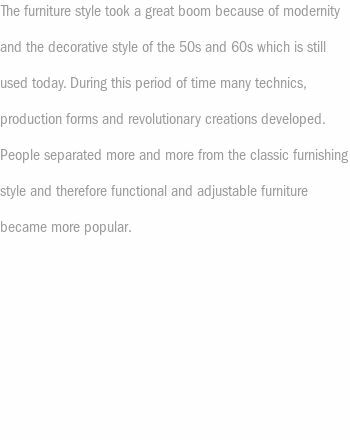 The height of the armrests are an ideal height for your arms. 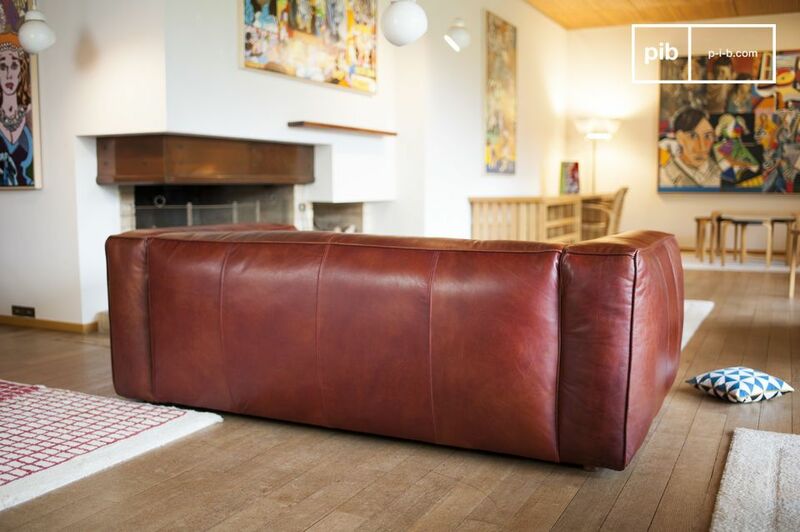 The attention to detail is seen through the leather, the patinated leather has been superbly distressed and oxidized to create the beautiful colored leather which adorns the sofa. 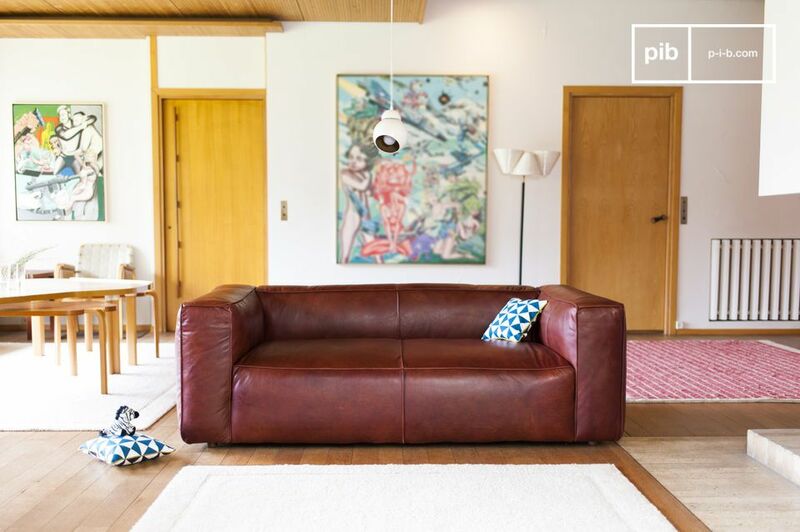 The sofa stands on particularly small varnished wooden feet that keep the sofa suspended from the floor. The detail and quality of this Scandinavian sofa makes it a beautiful investment that is sure to last.